Stores reference 6A/1714 (?). Approximately 6.5cm diameter. 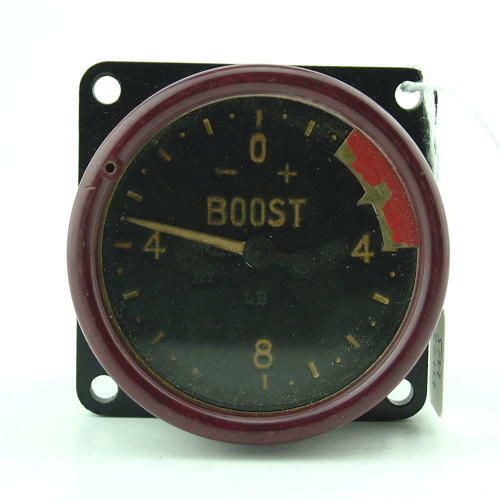 8lb boost gauge. 1944 dated. This pattern was used on early marks of Hurricane and Spitfire and many other aircraft used by the RAF. Condition appears good but we have no idea whether it is functioning. Sold as a collectible only. UK sales only. Stock code M22113.